1. 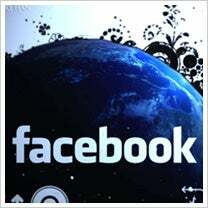 Privacy settings for sharing: Privacy has long headed the list of concerns expressed by users of Facebook. As a result, Facebook has made a slew of changes that give users more control over who sees the content they create and post. What this means for your business: Facebook wordsmithed the default sharing prompt that alerts users about who sees what they’re about to post. The default setting "Everyone" was changed to "Public," and that subtle change taps into the human psyche surrounding issues related to privacy. "Public" clearly demonstrates that the public at large can view your updates, photos and more, whereas "Everyone" is ambiguous, or even folksy. That, of course, worked to the advantage of social media monitoring tools that rely on lots of public-facing content to fill their dashboards and analytic reports. The new "Public" label will likely result in fewer public-facing citations, which means businesses may have less to listen to. 3. Ad targeting by Topic: For businesses and brands advertising on Facebook, the company now allows you to target your ads by Topic, not just Precise Interests and keywords. Ad targeting by Topic combines overlapping Precise Interests, which in turn allow for easier targeting. For example, listing the Topic "cooking" will target Facebook users with related interests in "cooking," "cooking tips" and "cooking and eating." What this means for your business: If you know your target audience has a set of interests, ad targeting by Topic eliminates the need to manage a complex list of keywords. The addition of Topic targeting also allows businesses and brands to run A/B testing, or split testing, whereby you run two versions of the same ad -- one powered by Topic targeting, the other by Precise Interest targeting -- and then determine which one generates a higher return. 4. Advertising restrictions eased: Facebook now allows the promotion of legal gambling operations -- including offline casinos -- so long as such ads are appropriately targeted. The company also eased restrictions on ads promoting dietary and herbal supplements that do not contain certain ingredients, including ephedra, anabolic steroids and human growth hormones. 5. Places gives way to location tagging: Facebook is phasing out its mobile Places feature, which allowed users to "check in" to locations -- including businesses -- from their cell phones. What this means for your business: The impact here is minimal. Users will still be able to check-into a geographical location and take advantage of check-in Deals created by your business. But instead of using Places, they’ll use location tagging to indicate where they are -- possibly resulting in even more people tagging your businesses location. Will these changes to Facebook help or hurt your business? Tell us how in the comments section.